The primary fishing fleet and fish market in Kampot, Cambodia are operated by mostly Cham crews. 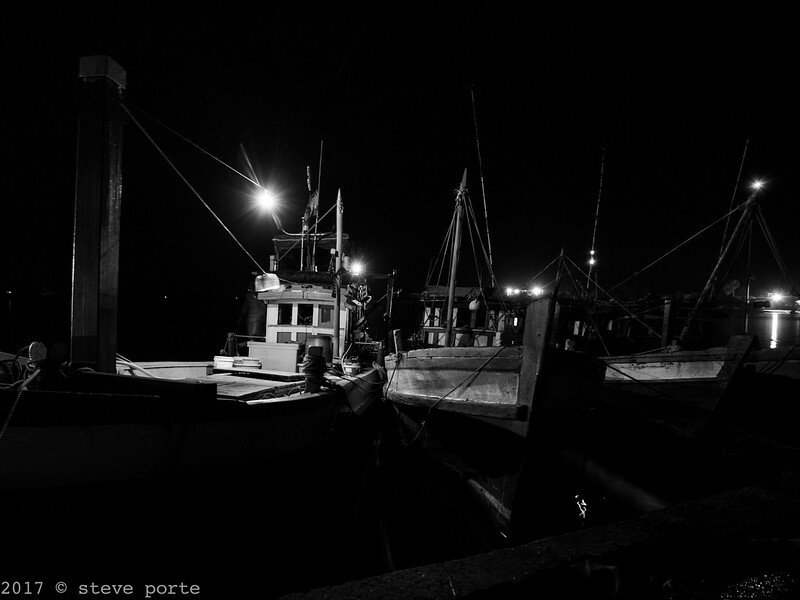 The boats head out to sea or upriver late at night, and return to the port-side market before dawn. By around 09:00, the days catch has been sold or sent to local markets, and the fleet heads home to rig the boats for the next night's work.